إن فندق City Lodge بموقعه الممتاز في هذه المنطقة السياحية هو نقطة انطلاق جيدة لنزهاتك في هذه المدينة المذهلة. يمكن من هنا للضيوف الاستمتاع بسهولة الوصول إلى كل ما تقدمه هذه المدينة النابضة بالحياة. يضفي محيط الفندق اللطيف وقربه من أكثر المعالم السياحية جذبًا سحرًا خاصًا على هذا الفندق. إن الخدمات الممتازة وحسن الضيافة العالي في City Lodge تجعل إقامتك تجربة لا تنسى. يقدم الفندق واي فاي مجاني في جميع الغرف, واي فاي في المناطق العامة, صف السيارات, جولات, محلات تجارية لضمان الراحة القصوى لضيوفه. بالإضافة لهذا، تتضمن كل غرف الضيوف مجموعة واسعة من وسائل الراحة . بعض الغرف توفر حتى قهوة فورية مجانية, شاي مجاني, مناشف, اتصال لاسلكي بشبكة الإنترنت (مجاني), مكيف هواء لإرضاء أكثر الضيوف تطلبًا. كما أن مجموعة الخدمات الواسعة الموجودة في الفندق لضمان راحتك تترك لك الكثير من الخيارات لقضاء وقتك أثناء فترة إقامتك. يشكل City Lodge بخدماته الراقية وموقعه الممتاز، قاعدة مثالية للاستمتاع بإقامتك في المدينة. Toilet is little big dirty. To get wifi, you have to go reception for better signal. It just located opposite of super market and market. Location is perfect. You have to go reception to get strong wifi. Toilet for bunk bed room is not very clean. Kitchen and lockers are available. Location, friendliness of staff and internet. This is a cheap and cheerful place to stay - suits me down to the ground. IN the centre of town, with easy access to restaurants and shops. Rooms comfortable, kitchens great (although no water) and facilities a bit basic, but all that is required. Over-riding impression though, is that it is very friendly. an alright stay, but a bit disappointed that they didn't have a phone one could use to call locally (not even when I asked if I could pay to use it). Wi-fi was stable, but had only reach in the reception where there's an uncomfortable bench/couch to sit on + the staff kept slowing down the internet by streaming music videos and playing games online. This wasn't a big problem, but still a bit annoying as you expect the wi-fi to be for the guest primarily. Great that it was located so close to the local market! A bit noisy having a room on the side just by the main road. close to markets, relaxed, walking distance to cafes, foreshore etc.Also had free wifi. I needed a cheap and clean place to stay and City Lodge was very good for this purpose. I think it has received a bit too modest reviews considering the low price for private rooms. It is not Mandarin Oriental, but you are not paying those prices either. The central location did not disturb at least me since I was facing the back and not the street side. Really bad. Uncomfortable. Lacks ventillation and fire exit, extremely dirty and hot. Very noisy backpackers. 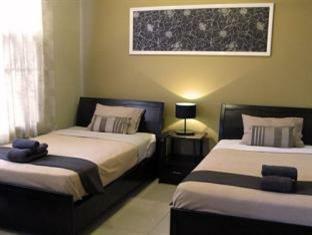 This budget hotel has the best location right in front of the central market of port villa. We stayed 3nights and were satisfied, we slept at the back and the room was quiet. Bed was made every day, towels provided. Hallway can be noisy. Market was across the road, and everything that Port Vila has to offer was close. Nowhere outside to sit, except top of stairs at reception, but waterfront is across the road. . It was all we needed . We stayed the first night in a street front room which was really noisy. We were switched to a rear room the next night, which was much much better. 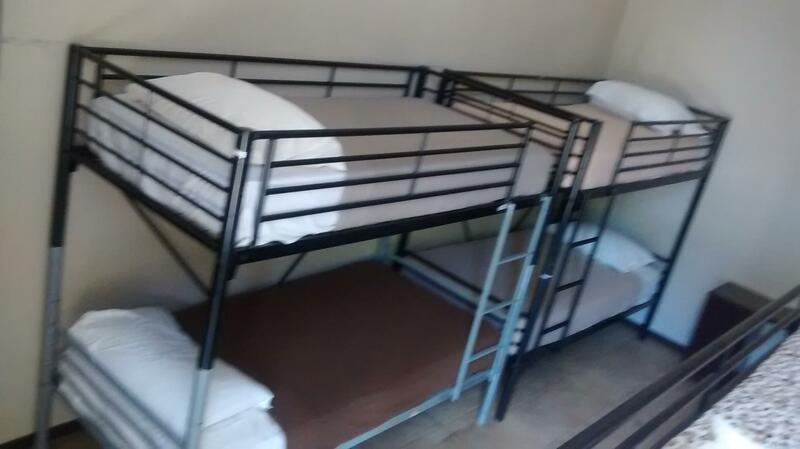 The beds were reasonably comfortable, and cleaned every day. Bathroom is small and basic, and I think the hot water must have been solar powered. On the days when it was overcast and rainy, there was no hot water. The wifi was free and reasonable speeds. Overall the hotel is a very basic hotel, and you can't beat it for location. If you would rather save your money to spend on sightseeing, and be in a great spot in the city then this is the place to stay. location was what we liked best. This was our second time to Vanuatu,and we needed a room to stay for one night while we were in transit. It really fit the bill. The room was clean and cool in a tropical climate. The attendant was polite,friendly and helpful. We loved the location, right in town. Probably the only negative thing was that it was upstairs and no one offered to help us with all our luggage. But we might have caught them distracted. after a short trip to tanna, i was here for one more day. this time i had a better room that's on the other side of the corridor, so i don't to deal with the midnight traffic noise. and the shower is better and the mirror larger, so i guess that's a little advantage for checking in early. anyways, it's ok for budget traveler who prefer to spend their money elsewhere on food and tours. It's the cheapest hotel in town except you whant to share, and location is good just across the outdoor market and taxi rank, so you would better be prepared to deal with something not very nice. Ants and mosquitos will fill your room, though they can be of no harm. It's very basic, and it is for those who don't mind where they live so long there's a room to stay. People in Vanuatu are so friendly but it was hard to get stout booked they don't like to force sell things to you. They come across very shy but we found that the market was very good for fresh fruits and local meals. When the cruise ships roll into town you can feel the buzz in the people. Our room was good for the price they didn't realize we booked a fan room and put us into an aircon room. Internet is good. Staff are very quiet and not really helpful but it was good and we extended out stay. The rooms are basic and due to its location right on the major road it can be quite noisy at night. Did the job of being right next to the taxi rank, cost 600 vatu to the airport. We booked and paid for the room but when we arrived at about midnight, due to our flight, we were told there were no rooms left. There were two other people who arrived just before us who were told the same thing. The lovely receptionist made it clear that it was not her fault and after some time, was able to find an older, unused room for us, which I believe was well below their usual standard. They didn't have any towels for us, there were none left and there was no key to the room. The room was very noisy as the windows wouldn't shut properly and was not as clean as I would have liked. However, we were pleased to have a place to stay after a long flight. Quite disappointing start to our holiday. The City Lodge is a fairly basic hotel located right in teh centre of Port Vila. 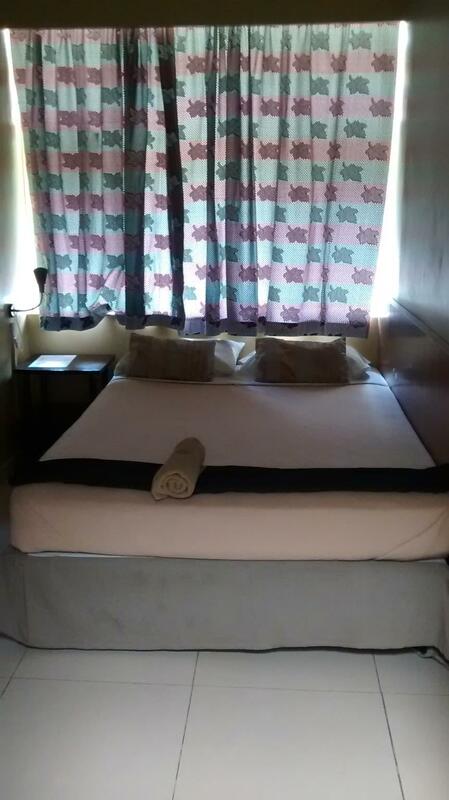 The hotel itself has small rooms and fairly low quality furnishings, amenities and appliances. My air conditioned room featured a small, non-working TV and an air conditioner that (noisily) struggled to get the temperature below 24 degrees. That said, the place is fairly clean (a couple of bugs were spotted), the staff are friendly and helpful and the internet occasionally works in the small reception area. It is by far the cheapest place to stay in town (there may be cheaper places outside of Port Vila) and so for this reason alone is worth a look.